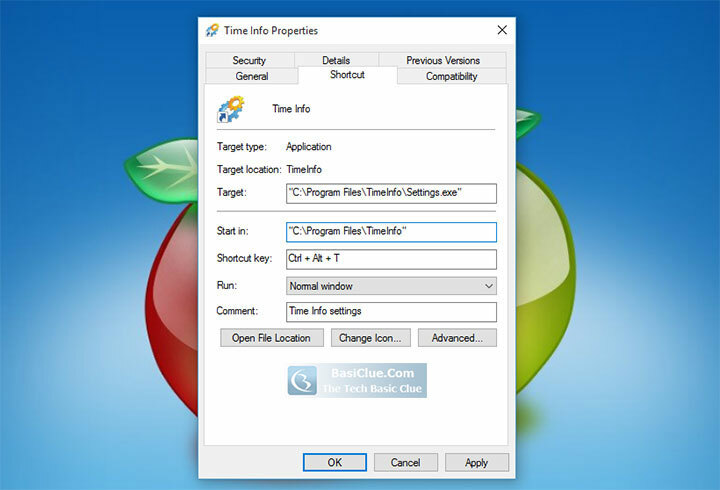 Generally, shortcuts are made by using shorcut file contains the image of the programs and put in the dekstop or windows' main menu. But actually, I do not really like using this shortcut file coz it mess the dekstop and does not reflect my true soul, lol. Imagine, how many programs do You have on your computer? I don't think it's a good idea to create shortcut files for every of those programs, I'd prefer using keyboard instead. You can create shortcut of all (means entire) computer's program easily by using combination of keyboard button. How should I create shortcut of all computer's programs using keyboard combination? This is how to do it. On Windows Start menu, hover to All Program » point to the desired Programs » right click on it and choose Properties. A new window should appears as the figure. Click on the shortcut Tab, You should see the "Shortcut key" row. Click on Shortcut key text area and press Control Button on keyboard. The Shortcut combination should appear automatically when You press control. Add Your own shortcut combination by pressing one of your desired letter, it will create new combination for the selected programs. The shortcut combinatioan may contain of Ctrl + Alt + Letter or Ctrl + Shift + Letter or, the simplest way You may use the numpad for two button shortcut combination ex. Ctrl + Num1, so on and so forth. Now, forget the old way using shortcut file on dekstop. But use your keyboard combination shortcut to open a program in one step, just press the keyboard. Remember to create an easy to memorize keyboard combination to your liking, for instance the combination for Opera browser, You may Use Ctrl + Alt + O or whatever You Like. Also don't forget not to create combination that conflict to computer's default shortcut like Ctrl + Alt + Del, or shortcut combination inside a certain program like Ctrl + Shift + S for Save as, so on and so forth. As for default computer shortcut please read also Default Computer Shortcut on Keyboard that contains the most common keyboard shortcut in one and to keyboard button. Have a try and Good Luck! !